Disc golf is a game of skill, patience, and precision. It can be both incredibly frustrating and exciting—sometimes simultaneously. In order to play the game right, you need the best disc golf discs. Figuring out which discs are appropriate for which scenarios can be a intimidating task, especially if you haven’t played before. 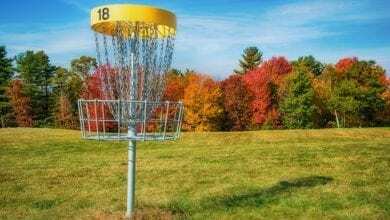 This article will tell you about the characteristics of disc golf discs, different types of discs, and even introduce you to five starter packs. If you don’t want to go to the store and deal with the hassle of picking up your own discs and the limited selection, you can grab complete sets of discs online. For more of my top disc golf recommendations, have a look through these popular Outside Pursuits guide links: Portable Disc Golf Targets and Disc Golf Bags. Let’s take a look at the top disc golf discs, then we’ll talk about how to choose the right set for you in our buyers guide below. DGA isn’t as well known as some of the more established companies in Disc Golf like Innova, but that doesn’t mean they don’t make a quality product. In fact, I think this is the best disc golf set. This set is tailored fro beginners and comes with everything you could need to take up this great sport. 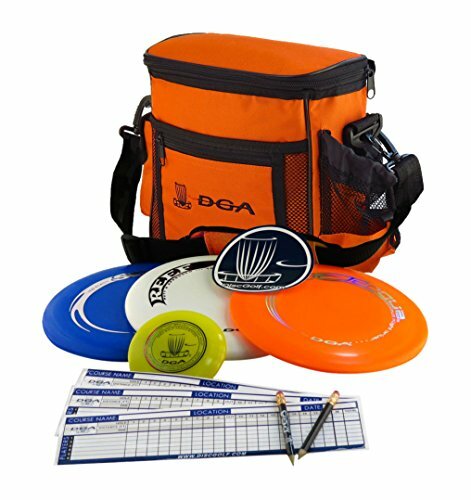 The DGA starter set comes with three discs (Driver, Mid-Range and Putter), scorecards, a marker disc, pencils, a rulebook, and a bag that holds about eight discs. The discs are light and easy to throw, which makes them ideal for new players. The additional materials aren’t essential, but it gives you everything you need to get started. Innova is a well known maker of Disc Golf Discs and this is one of their higher end sets. Innova is one of the most popular disc manufacturers in the game—and for good reason. These discs are made with a really durable plastic (Champion), so you don’t have to worry too much about damaging them, should they sail into the occasional tree or rock. Innova’s reputation as a superb maker of discs really speaks for itself. It’s also worth noting that this set is not just recommended by me, it has an outstanding approval rating on Amazon. In my opinion the Innova’s are the best disc golf discs. This set is a bit more advanced than the previous one. It comes with three discs—a driver, midrange and putter—and a bag to carry them in. Each disc weighs 172 grams. Each disc is made from flexible plastic that gives it bend and the ability to stay in the air for long distances. Kestrel’s discs are comparable to Innova or Discraft Elite Z, but are less expensive. 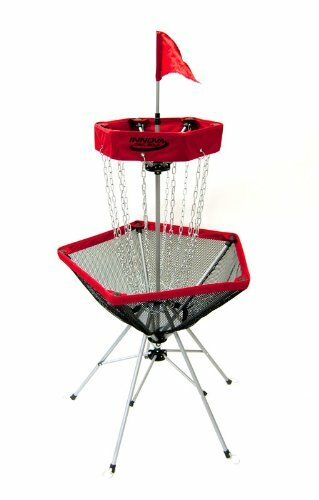 The Kestrel is probably the best disc golf starter set. This is a great set for those new to the sport. It comes with a driver, midrange, and putter, all PDGA approved. Happily, it comes at a low price. 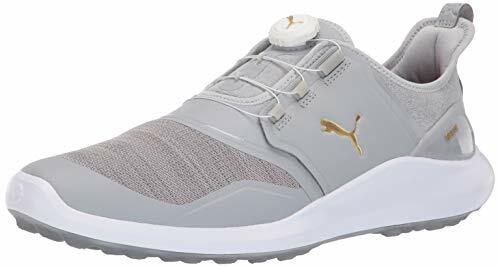 Perfect for someone who’s getting their feet wet with disc golf and might not want to make a sizeable financial commitment. Notably, this set comes with a Buzzz midrange disc, which is consistently rated among the best midrange discs in the game. 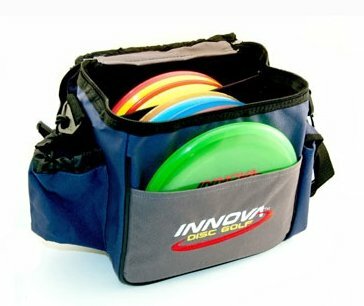 The Innova Beginners Disc Golf set has 4 good quality discs for you to choose from. You get a basic set with a fairway and distance driver, mid-range and putter. However if you think you are going to like getting out on the course, you will be better off getting a more advanced set of discs. Plus it comes with a Disc Golf bag and a mini disc marker. This package has everything you will need for quite some time. Only after you get really good you would you need to consider upgrading the discs or the bag. The discs have been designed with the beginner in mind and are balanced to be easy to throw while sacrificing some distance. But it’s a good trade off, what good is distance if you are in the woods or water all the time? Better to have more accuracy so you don’t get discouraged and are able to enjoy a round of golf. There’s a time and a place for different qualities throughout a game. 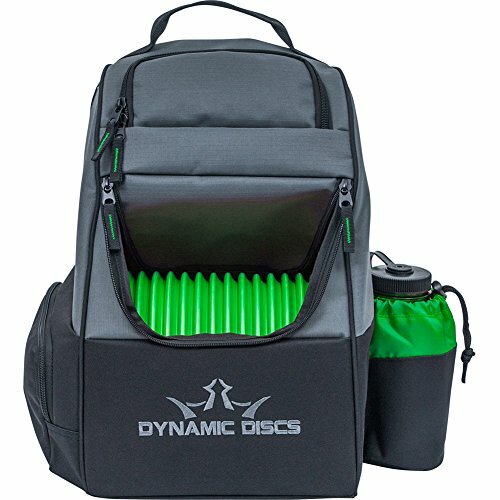 You don’t want to just fill your bag with the fastest discs available; you need to be able to adjust to the situation, and that requires specialized tools. Disc golf disc ratings are the shorthand way of knowing what you’re throwing, so to speak. There are three main systems of disc ratings: the Four-number rating system, the Virbam system, and the Discraft system. The first is used by many reputable and prolific manufacturers, and is by far the most common. There are four components of the Four-number system are speed, turn, fade and glide, all of which I’ll get into in a bit. One important thing to be aware of is that while different companies may use the same system to rate their discs, not all companies rate on the same scale. In other words, a 10 from Innova isn’t the same as a 10 from Westside. The first number in the Four-number system corresponds to speed. Speed is measured on a scale from 1 to 14, with 14 being the highest. You might be tempted to believe that the speed value of a disc tells you how fast it will go, but that’s not true. What it does tell you is how fast you need to throw the disc for the other numbers to accurately describe the disc’s flight. Confusing, I know. Unlike speed, glide is a pretty straightforward concept. The higher the number, the longer a disc will stay in the air. Discs are given glide ratings of one through seven. If you’ve never picked up a disc golf disc before, one thing you’ll be surprised to note is how different they are to throw than regular Frisbees. 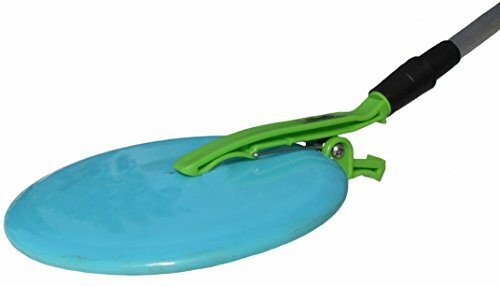 Unlike regular Frisbees, discs are naturally inclined to break to one side or the other. This depends both on the manufacturing of the disk and the technique of the thrower. If you throw right handed and backhanded, the disc will break left. Right handed and forehand: it will break right. The opposite is true for left handed players. Turn ratings are given on a scale from 3 to -3. A rating of 3 means that the disc will break to the left early in a throw if thrown from a right handed backhand. A rating of -3 means it will be the most likely to “turn over,” which sort of means going vertical, under the same conditions. Discs that have a propensity to turn over are sometimes called rollers, a nod to their tendency to roll after striking the ground. Ratings are always given with an understanding that right hand backhand is the normal throw. If turn is what happens at the beginning of a throw, fade is what happens at the end. Disc golf discs have a tendency to curve to the left at the end of their flight path (assuming we’re talking about a right hand backhand throw!). Fade is a measure of their propensity to do so. Fade is rated from 0 to 5. A disc with a fade rating of 0 will finish the straightest, while a disc with a fade rating of 5 will be the most likely to hook. Discs weigh between 150 and 180 grams. While the heavier discs might feel more natural or intuitive, beginners should really steer clear of them. The heavier a disc, the more difficult it is to control.For more experienced players, heavy discs are useful for fighting wind resistance and increasing velocity. Discs are made out of plastic—but not all plastics are created equal! Different plastics have different levels of durability, flexibility and stability. The level of durability effects how the disc changes over extended periods of use. For that reason, the same discs made from different plastics will eventually throw quite differently. Plastic also affects the grip of a disk. All right, you know what you’re looking for in a disc, What are the types of discs? You just need to hit the store, grab a few discs, and you’re on your way—right? Well, not exactly. Just like regular golf has a variety of clubs, different disc golf discs are suited to different tasks. Let’s talk a little more about what to expect from each of the four main types of discs. First, there’s the driver. Just as in golf, the point of the drive is to cover a maximum amount of distance. To accomplish that, drivers need to be quicker than other discs. In order to get extra speed, drivers are made with beveled edges that cut through air resistance. Most of their weight is distributed around the circumference of the disc. Video: How do You Play Disc Golf? How to throw a driver disc. The qualities that make a good driver really depend on the skill level of the player. If you’re reading this article, I’m assuming you’re probably not an expert. The thing is, throwing drivers can be really difficult for beginners (to be honest, mine don’t always go where I want them to…). Of course, that doesn’t mean it isn’t worth having one or more in your arsenal; you just want to be sure you can play effectively with it. The way you do that is by making sure you opt for a disc that will be naturally inclined to maintain a straight flight path, rather than curve to one side. You should probably also opt for a driver on the lighter side—towards the 150 gram side of things. Fairway drivers are sort of a middle ground between drivers and mid-range discs. They’re easier to control than distance drivers. In fact, newer players will often choose to forgo distance drivers in favor of fairway drivers. They aren’t just stand-ins for distance drivers though; they provide accuracy in placement and approach situations. Since you’ll probably end up using your fairway driver over long distances, you should make sure to get one with a low fade rating—at least, that’s my opinion. Over long flights disks have plenty of time to fade and end up quite far from where you intended to throw them. If you’re more experienced, however, you might be able to strategically use fade to your advantage. Another note: you should get a fairway driver made out of a durable plastic. That way it won’t change its flight pattern after the first tree you inevitably throw it into—yes, you will hit plenty of trees. Video: Techniques on the mid-range approach. While putters and drivers are really only suited to short and long distances, respectively, midrange discs are all about versatility. 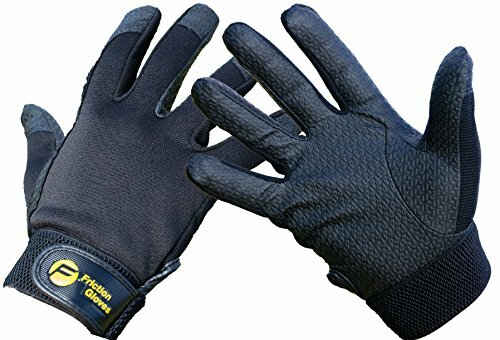 They offer accuracy and can cover a decent amount of distance. On short courses, they can even be used in place of drivers. Beginners should look for midrange discs with neutral to negative turn ratings (sometimes this is referred to as stability). Stability is measured on a scale from 3 to -3, with a rating of 3 meaning that the disc will break hardest to the left if thrown from a right-handed backhand. However, understable midrange discs can be difficult to drive with, so if you’re only going to buy one you’ll have to weigh those competing priorities against each other. Video: Putting, the most important part of golf. To hear many people tell it, putting is the hardest part of the game. Personally, I think that honor belongs to teeing off. But putting is certainly the most precision-intensive aspect of disc golf. Given the importance of accuracy in putting, the most important qualities in a putter are those that allow you to throw it with certainty. The first thing you want to see in a putter is overstability. Overstable discs fly predictably and cut through wind resistance the best, making them the easiest to throw straight. Next, you want to be sure that your putter has a low fade. This is especially important for accuracy in longer puts. The last thing you want to watch out for in a putter is the type of plastic it’s made of. This is a more important feature in a putter than any other type of disc because putters have to collide with metal chains and baskets. An overly rigid putter will be more likely to bounce off metal. A flexible putter, however, will be more likely to drop into the basket. Plastic is also important because it determines the grip of the disc. For a combination of grip and flexibility, try RPro plastic by Innova. Well, that about does it for this article. Hopefully you learned something about what to look for in a disc and how and when to use them. With various terms to learn, finding the right place to play, and practicing your grips and throws you may be a bit overwhelmed with all the information. We’ve answered some of the most common questions we hear. Q: What does “hyzer” and “anhyzer” mean? A: These terms refer to the angle of the disc when it is released from the hand. For right-handed throwers, if the left side edge of the disc is pointed downward while gripping it on the right, it is referred to as hyzer. Contrary to that, anhyzer means that the left edge of the disc is pointed upward. Q: What are the differences between discs that are stable, understable, or overstable? A: A stable disc golf disc will fly straight whether you are a right-handed thrower or left-handed thrower. If you throw right-handed, an understable disc will have a tendency to curve toward the right. The harder you throw the more it will turn. If you are throwing an overstable disc, the disc will usually curve towards the left. Once again, the harder you throw the more dramatic the turn. However, it’s important to know that you can use these discs’ features to your advantage. A: We talked a bit about the speed, glide, turn, and fade and the ratings that represent the varying degrees of each. Here, we stress the importance of choosing the right rating for each feature. The ratings we have been referring to are also called flight numbers. If you start playing disc golf and you notice that you throw a certain way, you can upgrade to discs with flight numbers that better match your throwing style. In this way, you can take advantage of the features of each disc. Q: How do I find a disc golf course near me? A: The Professional Disc Golf Association, also known as the PDGA, has an easy to use course directory. It can help you find the disc golf courses nearest to you. It can even help you find a course that’s close by if you are traveling with the family on vacation, or even on a business trip. If there isn’t a course near you, it may be possible to have one installed at your nearest park. Try calling the Parks and Recreation Department in your city or county. The PDGA may also be able to help. Q: Does the type of plastic really matter? A: Yes, the type of plastic your disc golf disc is made of will give that disc certain characteristics. Even though there seems to be a great variety of plastics when it comes to disc construction, many of the ones you will see are the same plastic but under a different name due to the manufacturer of the discs. For example, one of the most common types of plastic used in discs designed for beginners can be referred to as Dynamic Disc Prime, Latitude 64 Retro, and Westside Discs Origio. 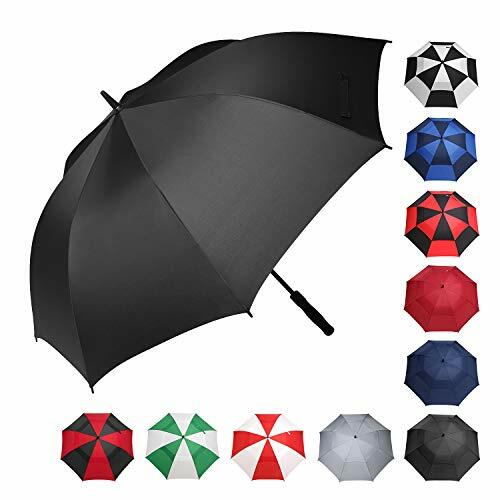 Discs made from this type of plastic usually offer a very good grip even in inclement weather and they tend to wear-in much quicker than other types of plastic. For beginner disc golf players, a quickly worn-in disc is often very helpful. If you’re new to disc golf, there may be a bit of a learning curve – no pun intended! We’ve asked experienced players to give us their best tips for beginners. Follow these tips and you’ll be just as experienced in no time at all. In addition to the backhand grip and the forehand grip, the forehand grip also being referred to as a two-finger or sidearm grip, you should also learn two others. These two grips, called the hook thumb grip and the thumber grip, can help you create a more stable throw. Being proficient with all these grips can help you get the most out of your game. It isn’t just the grip that can help you with a more precise throw. There are well over a dozen different throws to master. Choosing the right throw for the situation will help give you an edge over other competitors, even if the other competitors are family and friends. Knowing as many throws as possible will allow you to use the right skill at the right time. It’s recommended to practice your grips and throws before heading to the course to work on aiming and distance. Typically, the heavier discs are used by professional players or at least those with plenty of experience. Heavier discs take more power to throw to get the same distance that a beginner can with a lighter disc. Using a lighter disc at first will help you perfect your technique so you can upgrade to heavier discs later on if you’d like. Just as in traditional golf, putting is very important. You may be able to throw long distance to get your discs near the target, but if you don’t have a precision short-throw to reach the target from a closer distance, reducing your average score can be difficult. To practice, we recommend standing at various distances from a single target, approaching it from several different angles. The more time you put into practicing your putting, the more confident you’ll feel when the game’s on the line. Disc golf can be fun for the entire family. It’s no fun to head out to the course and spend all day practicing by yourself. Inviting family or friends, even as spectators, can help give you the motivation to keep practicing. Disc golf can also be a fun sport for the entire family. Why not have a few sets of the beginner discs we’ve reviewed so everyone can join in? It can also help to have a couple of different brands and styles on-hand so everyone can find the ones they like best. I hope this guide was helpful for finding the best disc golf discs to fit your needs. If you want to comment or recommend a disc I didn’t include, please use my contact form to get in touch.